Hundreds of people attended a 50-plus information day in Wimborne, the latest one organised by Douch Family Funeral Directors. There were over 40 stalls offering advice and opportunities to those who visited the Allendale Centre. Town crier Chris Brown spread the word in his own inimitable way and proceedings were opened by the mayor, Cllr Terry Wheeler. Nick Douch, managing director of the group that has eight branches in Dorset, welcomed everyone to the event. 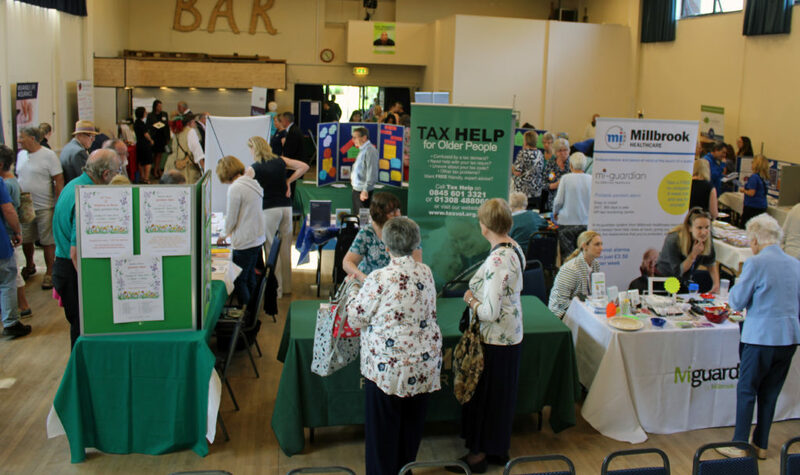 On offer was financial planning advice, befriending groups, dementia awareness and crime prevention stalls, sports groups, fitness activities and cookery demonstrations. The event was supported by the Allendale Centre and POPP and also had volunteers and the fire brigade giving out free slippers that help prevent trips and falls in the home. “It was very well received by people who came in large numbers and there was lots of positive feedback from those with stands. 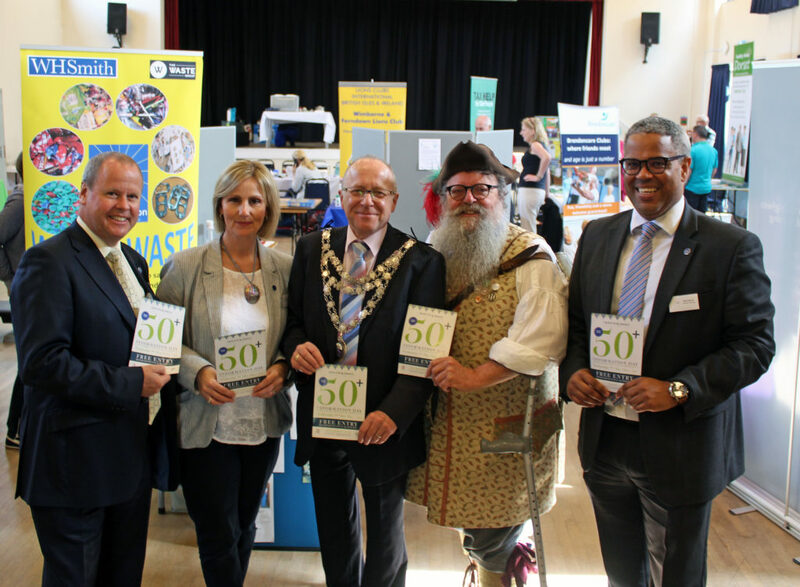 “This was our third 50-plus event and the interest and numbers attending show that there a lot of interest in what’s on offer in our communities.